Gluten free, Lactose free. Soy free. 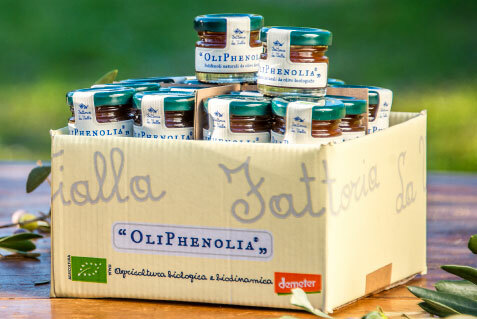 OliPhenolia® Bitter is composed of extract of fresh organic-biodynamic olives and organic-biodynamic lemon juice. 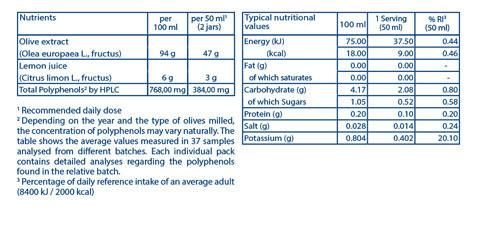 OliPhenolia® Bitter is a natural source of polyphenols. The polyphenols are obtained by filtering, with an innovative method (through ceramic membranes and reverse osmosis), the olives’ “vegetation water”, the waste water – rich in polyphenols – resulting from their milling. 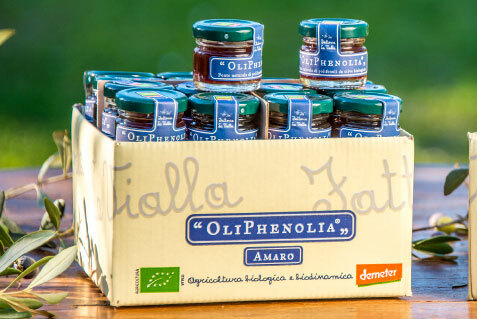 OliPhenolia® is composed of extract of fresh organic-biodynamic olives and concentrated organicbiodynamic grape juice. 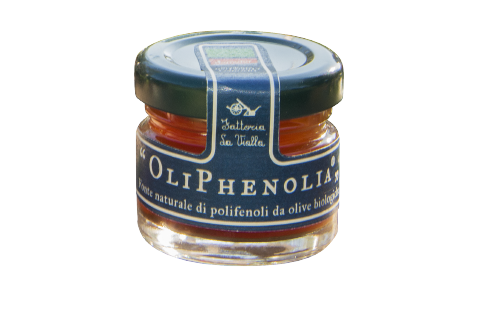 OliPhenolia® is a natural source of polyphenols, flavonoids and anthocyanins. 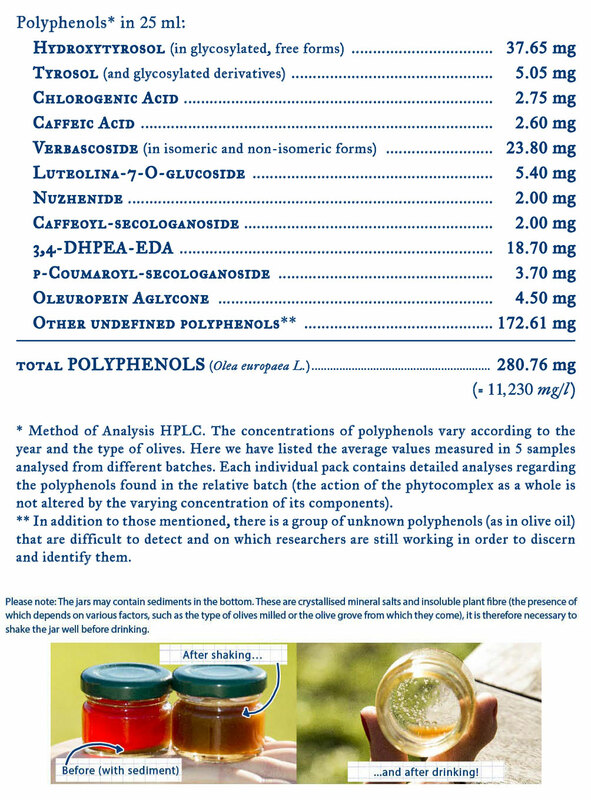 The polyphenols are obtained by filtering, with an innovative method (through ceramic membranes and reverse osmosis),the olives’ “vegetation water”, the waste water – rich in polyphenols – resulting from their milling. One 50 ml serving to be taken daily. 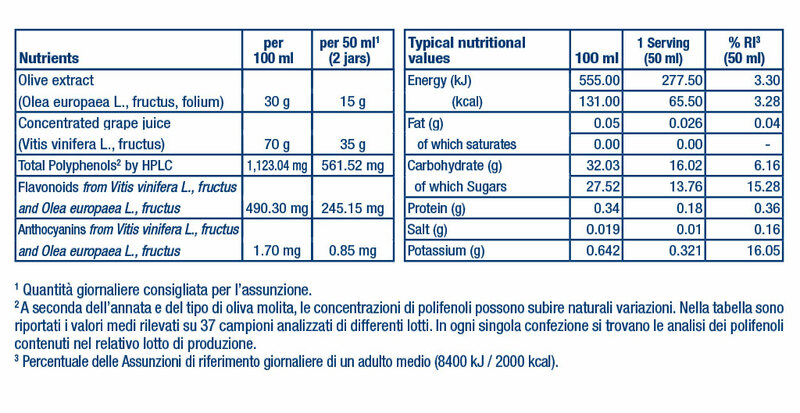 Each serving is composed of 2 jars, containing 25 ml each. On jar to be taken in the morning and one in the evening, between meals. It is recommended to repeat a 16 day cycle at least three or four times a year. Dietary supplements are not intended as replacements for a varied, well balanced diet. Do not take during pregnancy and whilst breast feeding. Not recommended for those under 21 years of age. 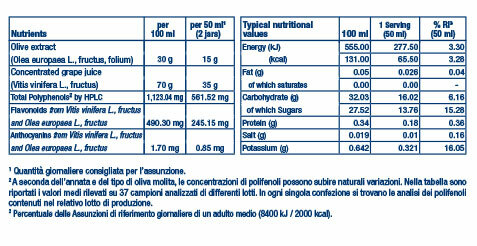 Not recommended for those allergic or intolerant to olives (or to grapes in the case of OliPhenolia with grape juice). Store at room temperature and keep away from light and heat sources. The best-before date refers to the product correctly stored. It does not contain traces of histamines. safeguarding the content from possible contamination due to the repeated use of a large bottle. HOMO NOVUS GmbH & Co. KG. 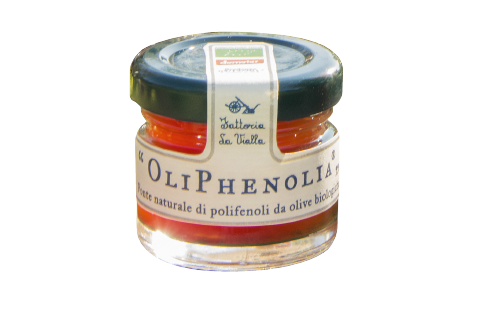 OliPhenolia® is a natural biodynamic organic dietary supplement.